The mat: Generously sized to provide enough space for your biggest cutting projects. 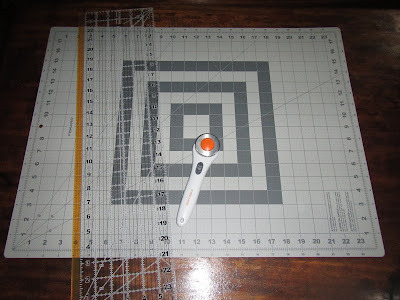 Love the white on grey colors/print (reversed colors on the other side) easy to see through the ruler, measurements clearly marked as well as grid outline. Self healing which can be cut on again and again without damage to your board. I put a bit of pressure into my cutting just to see how well this would hold up making multiple passes in the same spot and I couldn’t even see my cut marks! Recommend a wipe with a damp cloth every now and again to keep the fuzzies/lint off. Slightly large for storing on a sailboat (!) but I found that I could keep it laying flat by putting it underneath my mattress, which keeps it out of the heat/sunlight and to make sure it doesn’t curl. The ruler: Thick acrylic with large numbers and easy to read grid with increments of 1/8th of an inch. 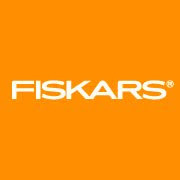 This ruler also features a highlighted seam allowance along the side – perfect for cutting strips- as well as 30, 45 and 60 degree lines. 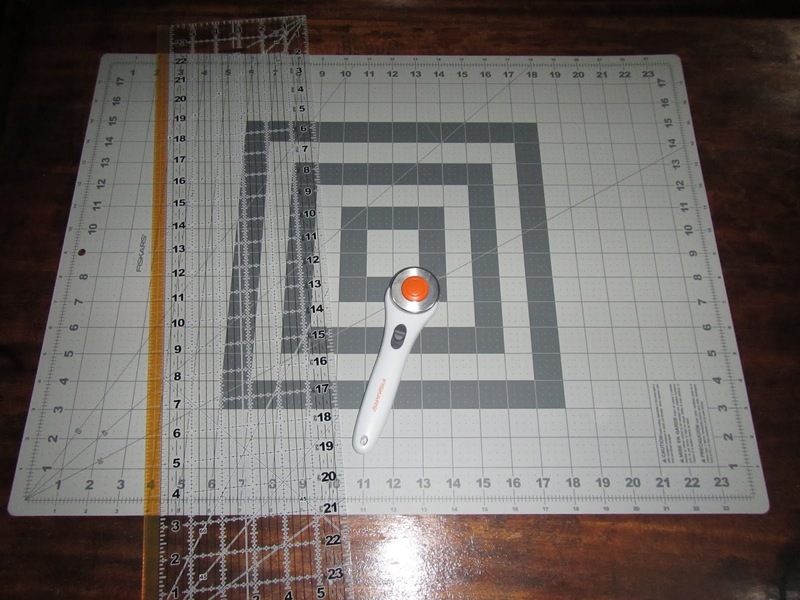 Non-skid markings on the back of the ruler help to keep it in place while cutting your fabric. The rotary cutter: Once you have used one of these to cut fabric, it’s impossible to go back to regular scissors! 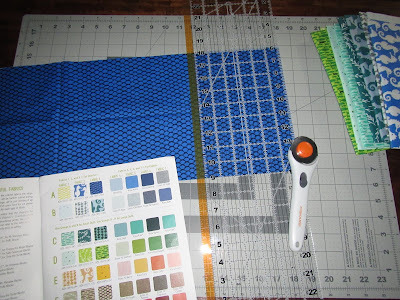 The round cutter allows you to effortlessly cut through multiple layers of fabric at once (perfect for quilt blocks! ), while getting smooth, clean lines. This cutter is a standard stick style and allows cutting with either right or left hand. Easy to change your blade when it gets dull with a simple screw knob. The cutter also has a retractable safety guard/blade protector. Christmas is coming up quick and this would make an amazing gift for the crafter or quilter in your life. Throw in a bundle or two of fat quarters and you have the perfect starter-quilting kit! Thanks FISKARS for the always great-quality items! And stay tuned for more posts on my quilt progress!